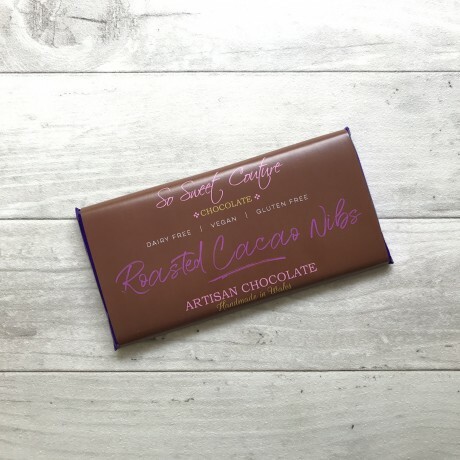 3 hand made dairy-free milk chocolate bars with roasted cacao nibs. Ingredients: cocoa butter, sugar, rice powder (rice syrup powder, rice starch, rice flour), cocoa mass, chicory root extract, emulisifier; sunflower lecithin, roasted cacao nibs. Contains Cocoa solids 47% minimum. Made in a kitchen that handles nuts.